Why Don't We Care About Growing Inequality? Why Don’t We Care About Growing Inequality? 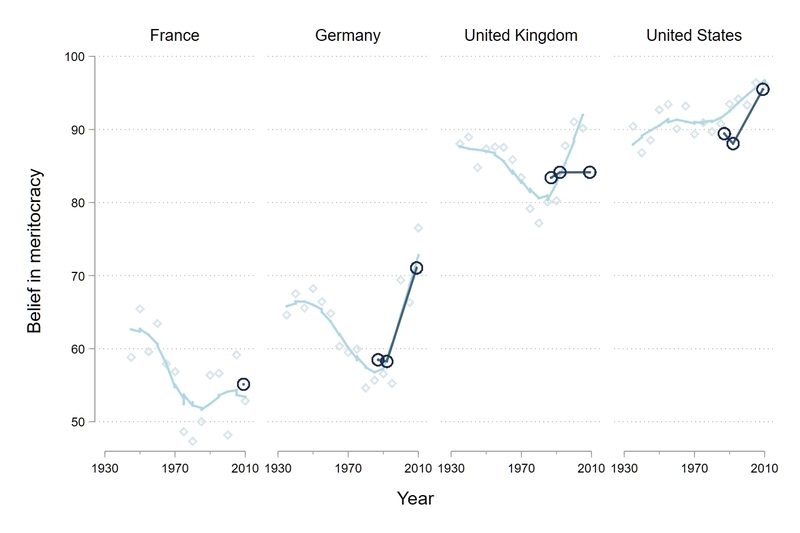 We are witnessing a surge in news reporting and scholarly interest in inequality. Most people now know some stylized facts about the unequal distribution of income and wealth. Throughout the West, the top 10 percent takes home a third of all income and owns two-thirds of all wealth. The United Kingdom is no exception. So, how has the other 90 percent responded? We've seen protests here and there. The Occupy movement caused quite a stir, but already feels like a distant memory. What's striking is the absence of large-scale public unrest, mass demonstrations, revolt. For most people, inequality is business as usual. I think there are three parts to explaining the lack of popular unrest about inequality. For one, despite all the media attention, most people still underestimate just how unequal a society they live in. Ordinary workers haven't a clue how much money their CEO takes home. And CEOs have no idea how little their ground-level employees have to live on. In a recent survey, British people put the income ratio at 15:1. In reality it is closer to 90:1. What would be people's ideal? An income ratio of 5:1. The second part of the explanation is that many think inequality reflects the accomplishments of hard work and talent, or a lack thereof. We celebrate the success of our leaders in business, sports and science. Conversely, the poor must have made poor decisions somewhere down the road; relieving us of the obligation to care. My research demonstrates that beliefs in meritocracy remain as strong today as they ever were (see figure below). Why would inequality bother us if wealth and poverty are the outcome of a fair meritocratic process? Indicated on the vertical axis is the percentage of people in each country believing that who gets ahead in society is decided by hard work. Click for details and source. The third part of the explanation why people haven't taken to the streets is their inability to imagine an alternative of a more equal society. They may not believe such is viable, or even desirable. To sum up, the most striking thing about the rise of inequality is that it hasn't been accompanied by major popular unrest. This, I argue, is due to a combination of three factors: (1) people underestimate the extent of inequality; (2) consider inequality as the outcome of a fair, meritocratic process; and (3) have no alternative to mobilize for. If my diagnosis is correct, it follows that we will only see the real popular response as citizens become better informed about the extent of inequality; when their meritocratic worldview is shattered and the legitimacy of the income and wealth gap falls apart; and once people find a clear and viable alternative to their unequal societies. Michael Young coined the term meritocracy in 1958 in a dystopian novel of a society where inequality had the moral gloss of deservingness; where the economically marginalized were blamed for their misfortune, and society's elites received unequivocal praise. His novel ends abruptly with the death of the fictional author, as the 'undeserving' citizens take up arms to overthrow the meritocratic elite. The people, he predicted, will see right through it and reject meritocracy like they did the aristocracy. Today, sixty years later, that moment feels very far away. Work areas: Inequality. Tags: economic alternative, fair economy, inequality, politics.